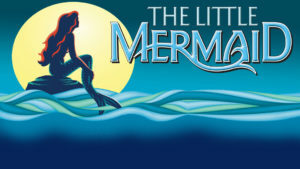 Waubonsie Valley Fine Arts presents the musical, The Little Mermaid, Thursday, April 26 through Sunday, April 29 in the WV Auditorium. The 2018 spring musical features a talented cast of student actors, dancers and musicians. Tickets are $8 for students and seniors citizens and $12 for adults. Shows on April 26, 27, and 28 start at 7:00 p.m. and the show on Sunday, April 29 begins at 2:00 p.m.
Tickets are reserved seating and can be purchased online at wvhs.ipsd.org under “Hot Topics”. Tickets can also be purchased at the box office beginning at 5:30 p.m. each night of the show and at 12:30 p.m. on April 29. For more information, visit wvhs.ipsd.org or e-mail wv_box_office@ipsd.org.